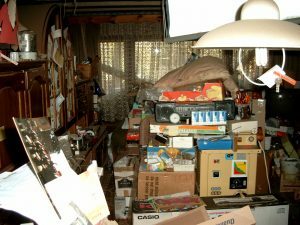 Hoarding is a problem that is often misunderstood and known to be dangerous for the affected individual and their family. 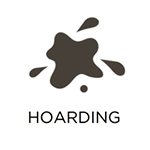 Those who have a hoarding issue suffer from a mental disorder, and this disorder manifests through anxiety and depression that stops the person from ridding their home of its contents. This causes hoarders to keep everything and build up clutter in their home. Eventually, this clutter can accumulate so much that it becomes dangerous. Piles of items gather in the home, blocking access to areas and acting as a safety hazard. These piles can also attract bacteria, mold, and pests. When someone approaches a hoarder about getting assistance to clean their home, the matter must be treated delicately and respectfully. When the hoarder has agreed to have their home cleaned, contact the professionals at Rainbow International Restoration of South & West Suburbs for the professional hoarding cleaning services we offer in Hickory Hills, IL. 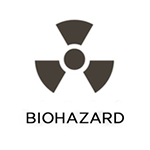 We can thoroughly clean a hoarder’s home, which includes removing any biohazard materials. With this service, we work with the hoarder to determine what to get rid of. When all unwanted items have been removed, we do a comprehensive cleaning and disinfection of their home. Every one of the technicians we employ has passed a background check and will be respectful with all cases. Hoarders will rarely initiate cleanup in their homes on their own. Usually, they don’t realize there is a problem or are too embarrassed to reach out. As such, it is most effective to have a family member or friend reach out to the hoarder about their problem, the danger it comes with, and the need for cleaning. Having the hoarder agree to the cleaning is very important. When the hoarder agrees to clean their home, get in touch with Rainbow International Restoration of South & West Suburbs. Our professionals will do an assessment of the home and form a connection with the affected individual built through respect and trust. 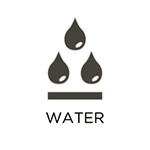 We are able to get rid of large quantities of items from homes and will do a complete cleaning and disinfection. The affected individual makes the decision on what to get rid of and what to keep. Our professionals collaborate with the affected individual to figure out what items to keep, donate, throw out, and recycle. Damaged items will be cleaned and restored. 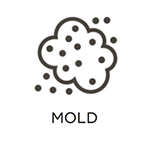 After removing all unwanted items, our professionals clean and disinfect the home. Any unwanted items are either thrown out, donated to a charity, or brought to family or friends. Our professionals assist with any paperwork from an attorney or trust. When situations concern hoarding, it can be tough to figure out whether insurance companies should be involved. Our professionals can assist in figuring out whether to involve your insurance company. If you decide to file a claim, we will directly bill your insurance provider. 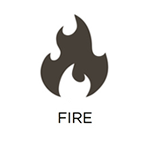 We will even price-match any estimate from an IICRC-certified professional for the same service. For hoarding cleaning services in Hickory Hills, IL, contact Rainbow International Restoration of South & West Suburbs by calling (708) 571-2550. Hoarding can be a sensitive subject, but our technicians are always respectful with the affected individuals all while doing an exceptional cleaning job.